It’s time for Karen’s Killer Fixin’s! Over the years, I’ve filled two 4-inch, 3-ring binders with my own creations as well as recipes my family and friends were willing to share with me. I simply love to cook and want to share that love with my readers. So every Friday, I share one recipe I think you and your family might enjoy. It might be a main course recipe. A cookie or baked item. Candy. Salads. Whatever strikes my eye and fancy…which today is DOUBLE-DECKER FUDGE! When I think of Christmas recipes that get pulled out every year to share with my friends and family, candy tops the list. I have a LOT of wonderful candy recipes so let me share one of my favorite fudge recipes. This fudge doubles the fun! P.S. We’re at 290 recipes and counting with this posting. Hope you find some recipes you like. If this is your first visit, please check out past blogs for more Killer Fixin’s. In the right hand column menu, you can even look up past recipes by type. i.e. Desserts, Breads, Beef, Chicken, Soups, Author Specials, etc. Line a 13 x 9 x 2” pan with foil. Place 1 cup peanut butter chips in medium bowl; set aside. In second medium bowl, blend ¼ cup melted butter, cocoa and vanilla until smooth. Add 1 cup peanut butter chips. In heavy 4-qt. saucepan, combine sugar, marshmallow cream, evaporated milk and ¼ cup butter. Cook, stirring constantly over medium heat until mixture comes to rolling boil. Boil and stir 5 minutes. Remove from heat. Immediately add half of hot mixture to bowl with peanut butter chips only. Pour remainder into cocoa mixture; stir to blend. Beat peanut butter mixture until chips are completely melted; spread evenly in prepared pan. Beat cocoa mixture until chips are melted and mixture thickens. Spread evenly over top of peanut butter layer. Cool; remove from pan. Remove foil; cut into squares. Store in airtight container in cool, dry place. Karen, your recipes are certainly killer! Thanks for this one, too. I must make it when my neighbor’s little boy comes back from Christmas holidays. 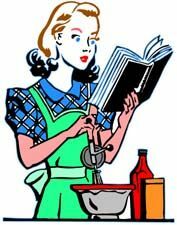 You’re not only a woman with a fine sense of humor and a consummate author, but you’re a good cook, too! Thanks for all you do, and a happy and prosperous merry Christmas and new year to you and your family and friends! Sprinkle chopped nuts over top – I use peanuts, pecans, and almonds and grind them into really fine pieces. I store my nuts in the freezer and they last longer. Bake at 350 for about 25 minutes or so. Let stand for about 10 minutes. Pull the parchment paper out and place the “block” on a large cutting board. Cut them into smaller squares – they are really rich. Lift the parchment and put it back in the pan for another 30-60 minutes to harden – of course tasting at this point is good, too. They are really easy and people LOVE them…. Now, when should I make this fudge? Might just have all of the ingredients…. They sound fabulous but a little would go a long way! Perfect for parties! Your recipe sounds wonderful!! Samantha’s sounds similar to my Magic Bars but with caramel bites and different chips than chocolate and butterscotch. More yummy receipes to add to my collection! !